Welcome Home Series<sup></sup> handlesets are the perfect addition to your front door to create a unique and fashionable entryway to your home. Each is stylishly designed to provide maximum-security protection. There are many styles, finishes and configurations from which to choose. Round Pocket Door Lock The complementary Antique Brass finish offers a warm feel with deep accents in the contours of the product. Forge's electronic lever lock is simple and elegant. It is easy to install and offers up to 6 access codes. The illuminated keypad, 2 remote controls and emergency keys offer convenience and trouble-free usage, which means you get peace of mind and added security. The levers are reversible and come in 4 different finishes to suit your needs. 1031 Antique Brass Round Pocket Door Privacy Lock Welcome Home Series<sup></sup> handlesets are the perfect addition to your front door to create a unique and fashionable entryway to your home. Each is stylishly designed to provide maximum-security protection. There are many styles, finishes and configurations from which to choose. 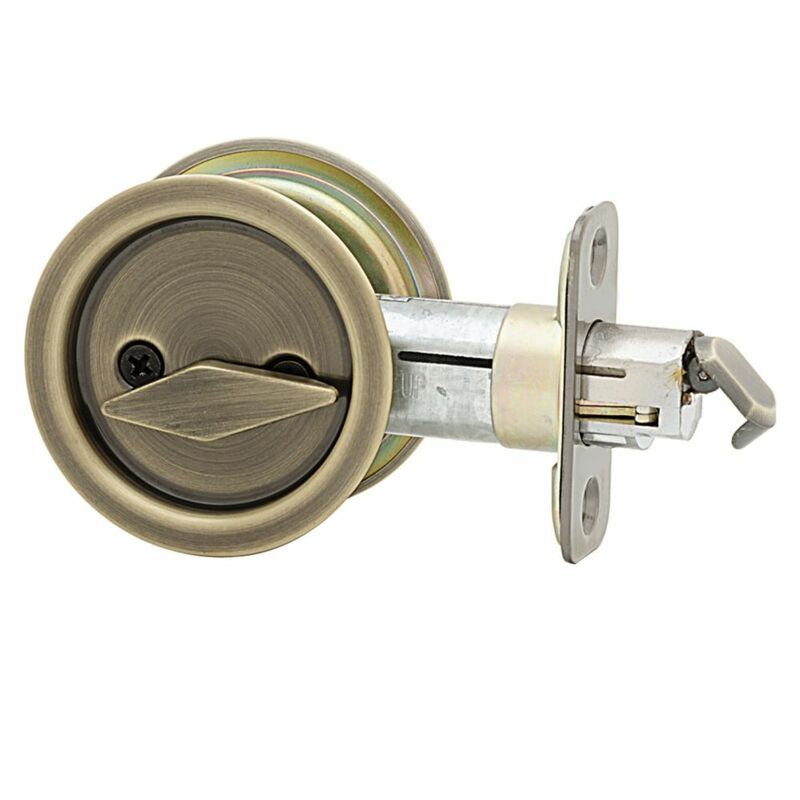 Round Pocket Door Lock The complementary Antique Brass finish offers a warm feel with deep accents in the contours of the product.